We at UTC Aerospace Systems are excited to circulate the below article detailing the inauguration of the unmanned “Arcturus T-20” surveillance system in support to inhibit illegal fishing activities in the Upper Gulf of California. 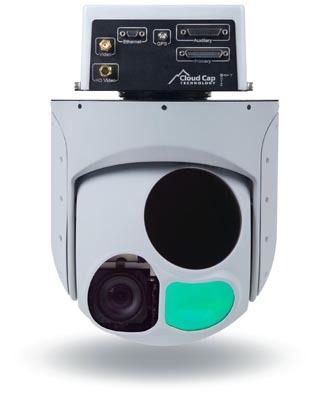 The UTC Aerospace Systems TASE400 LRS Imaging Systems collects real-time intelligence in support of this effort. Three unmanned aircraft meant to provide surveillance in preventing illegal fishing activities, while helping to protect the endangered vaquita marina in the Upper Gulf of California, were put into operation in Puerto Peñasco through coordinated actions of the Secretary of the Navy (SEMAR), Secretary of the Environment and Natural Resources (SEMARNAT) and the Secretary of Agriculture, Livestock, Rural Development, Fisheries, and Feed (SAGARPA). During a ceremony to inaugurate the “Arcturus T-20” surveillance system, Federal Secretary of the Navy, Admiral Vidal Francisco Soberón Sanz detailed the new surveillance system will fly over the Sea of Cortez, and particularly the polygon in the Upper Gulf stretching from Puerto Peñasco to San Felipe in Baja California, where remaining vaquita marina are thought to be. A principal goal of the efforts is precisely to inhibit illegal fishing activities so the vaquita marina can continue to be part of the Sea of Cortez. Further objectives include that of preventing illegal poaching of the endangered totoaba, whose swim bladder is highly sought after on the black market. Federal Environmental Secretary Rafael Pacchiano Alamán emphasized coordinated efforts of SEMAR, the Environmental Protection Office (PROFEPA), as well as the Commission of Fisheries and Aquaculture, and his office (SEMARNAT) are necessary in working to preserve the vaquita marina and totoaba, both of which are endemic to the area. He noted there are believed to be only 100 vaquita marina presently in existence. The three unmanned aircraft, which weigh 80 kilos and measure nearly three meters, can sustain up to 12 hour flight times and will be operated via radio frequency from a mobile control center situated on land. 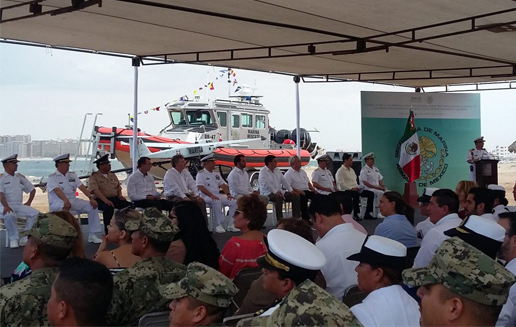 At the formal ceremony, held in close proximity to Puerto Peñasco’s Naval Base overlooking the Sea of Cortéz, others in attendance included Baja California Governor Francisco Arturo Vega de LaMadrid, National Commissioner of Aquaculture and Fisheries, Mario Aguilar Sánchez, Sonora Secretary of the Interior Miguel Ernesto Pompa Corella on behalf of Governor Claudia Pavlovich Arellano, Puerto Peñasco Mayor Kiko Munro, among other navy, military, and civil officials. 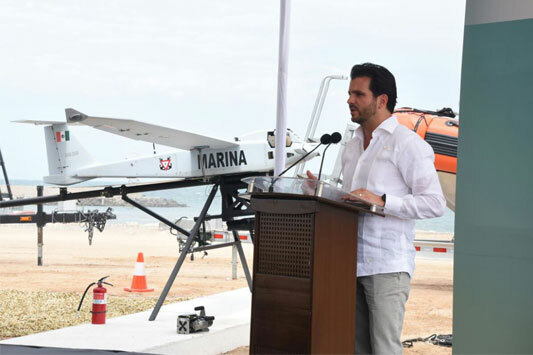 Following the ceremony, during which SEMARNAT Secretary Pacchiano Alamán symbolically presented controls of Arcturus T-20 to Navy Secretary Rear Admiral Soberón Sanz, officials and the media were taken to a site for a live demonstration of the unmanned aircraft.